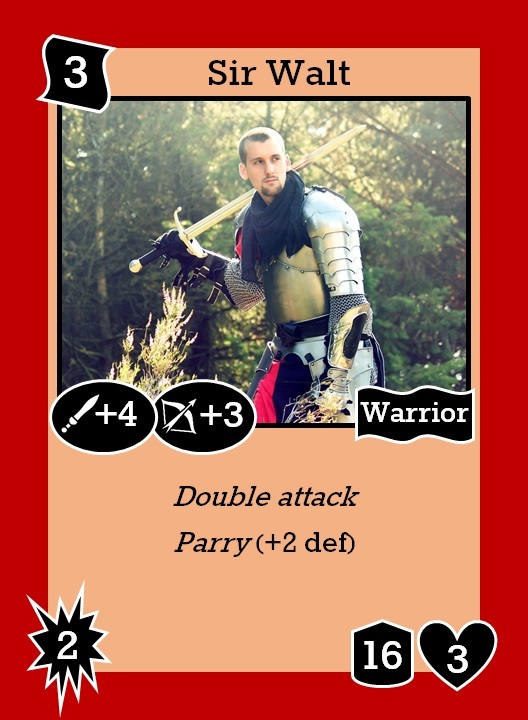 I want to make a card game based upon old school fantasy RPG rules. You can take a card and use it as an NPC. 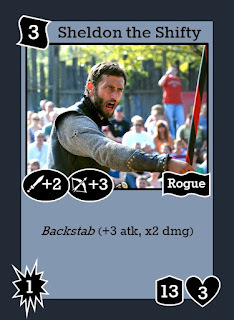 You can take an NPC and make a card out of them (probably tougher than the first thing, but maybe I'll get there). I don't want it to be too complex...just something that can satisfy a card game craving while giving the OSR itch a little bit of a scratch (which actually sounds kind of dirty). I'm just gonna shotgun some ideas for the structure of the game. It'll be based on Swords & Wizardry rules. Specifically the Core rules. Why? Well, everybody like Swords & Wizardry, right? 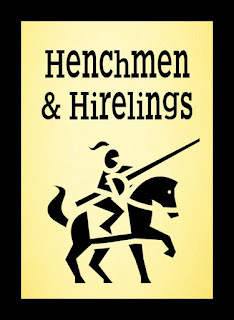 Playing the game will involve enlisting henchmen and hirelings to battle against those of one's opponent(s). The "cost" of a character can simply be its level...perhaps each turn, players will roll 1d6 and be able to summon that many HD in hirelings. And maybe dice can be saved from one turn to another, to build up to more powerful characters. The hiring, though...that will come after battling for the turn. 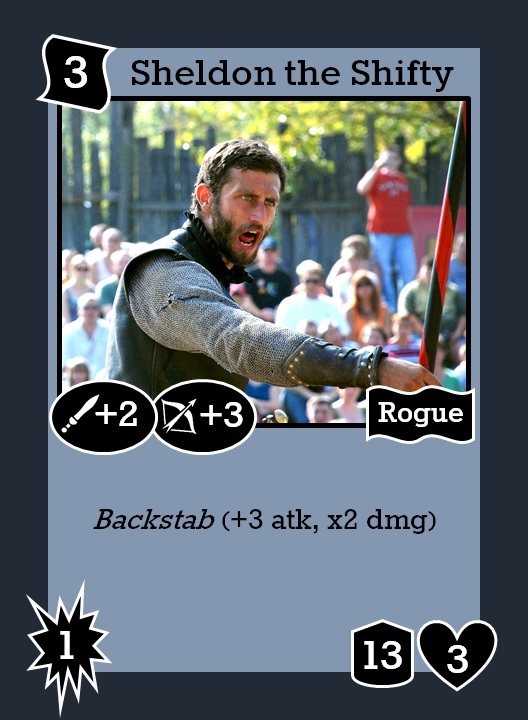 Some tried and true CCG combat concepts should serve us well here. 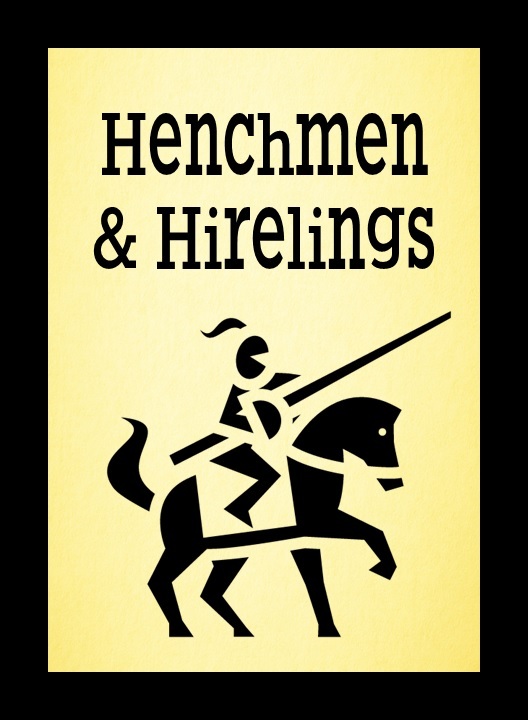 Attack your opponent's henchmen, or hold your guys back so they can block when you get attacked. Depleting the deck is a solid win condition, right? So, yeah...you can attack your opponent's "base," and if they don't block the attack, the damage dealt causes them to discard from the top of their deck. Run out of cards, and you lose. Okay, this is a solid base to build on! I think tracking damage is going to get a little messy for all of those characters. So to simplify that, let's deal only in HD and damage dice rather than variable die sizes. (This is part of what I've tried to do with the GRIND). Eliminating any of the rules involving little pluses and minuses to hit points and damage should be easy enough. And d6-only hit dice and damage (or multiples thereof)...that's pretty old school, right? I'll work on magic later. This is enough to get me playtesting. Something was unclear to me. What is the point of getting rid of hit points and using hit dice (probably a good idea for something like this) if the charactets get 1d6 hit dice per level? Then you still need to track hit points, you just call them hit dice. Level = hit dice would make for a simpler combat mechanic, I'd think. Ah! I didn't convey that well at all. The idea is to standardize all hit dice and damage dice to be d6's. In the context of the card game, the d6 doesn't matter...it's just treated as a single hit and takes one damage counter for tracking. To "translate" for S&W, though, it would require rolling up HP (or assigning X hit points per HD). The goal is, when dealing with, say, a 5HD character, to only have to count up to five rather than 18 or whatever they'd actually have in hit points. Big thanks for stopping by and taking the time to give me your ideas! Maybe 'special moves' could be separate equipment or action cards, rather than part of the character card? Having 'move silently--action--useable only by a thief, elf or halfling' and 'two-handed sword--place on a fighter' seems similar to what I remember of Vampire: the Eternal Struggle. Another suggestion is from Deadlands (which I've never played). Instead of dice, the cards could have numbers, which you discard to be your 'roll'. If high numbers are the good ones, the less useful cards could have higher numbers.